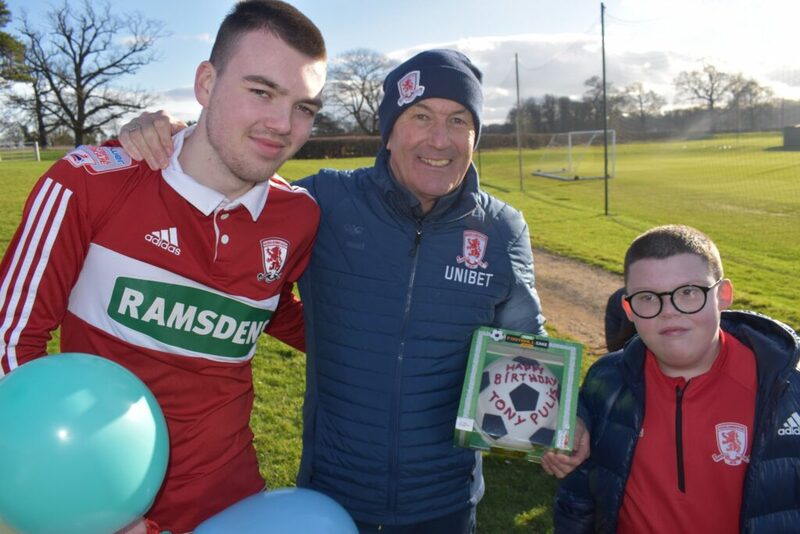 Children from Priory Woods School in Middlesbrough surprised Tony Pulis with cake and balloons this week to celebrate the boss’ birthday. Priory Woods is a school for children with a wide range of special educational needs from the age of four to nineteen. Eleven pupils who regularly attend the after-school football session delivered by MFC Foundation were treated to a VIP tour of Rockliffe Training Ground. The children spent the morning taking part in resilience exercises, testing their problem solving skills and hand speed. They then were given a behind-the-scenes tour of the training facilities, including the indoor sports hall, gymnasium, boot room, kit room, first team dressing room and the media suite.